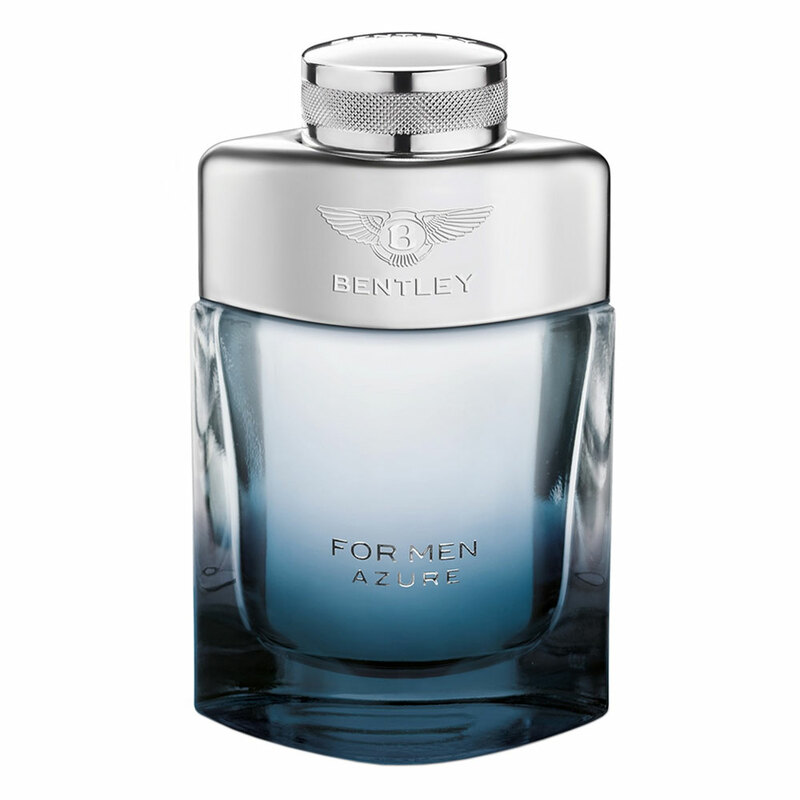 There are 8 reviews of Bentley for Men Azure. The Bentley Azure, sister car to Rolls' Corniche, is a coupe convertible of the greatest luxury. As both names suggest, this is a car to be driven along beautiful coastal roads, the blue of the sun-drenched sky mirroring the blue of the sea. So it is natural that when Bentley started building out its fragrance collection, that their fresh, oceanic offering would bear the name of this famous car. And oceanic it is-the Orcanox/Ambroxin sees to that, with fresh notes of pineapple and a violet leaf reminiscent of Aventus and Green Irish Tweed in the top notes, sage and lavender in the middle notes and Tonka joining the Orcanox in the finish. Azure brings nothing new to the table but is beautifully done-as all of the Bentley fragrances tend to be-and a welcome addition to any line up of warm weather workhorses. Very good performance for a fresh aquatic scent with a passing resemblance to many of Creed's offerings-these same notes are almost house notes at Creed. You may not live within striking distance of the seaside (and may not have a luxury convertible to drive there even if you did) but Bentley Azure has a fresh yet luxurious air to it that brings a little shoreline elegance into each wearing, wherever you may be. The bottle is crazily close to Ferragamo's Subtil which is interesting since that is another perfect example of a fresh yet luxurious designer scent done right. For most people, you will love this at first sniff. For perfume heads, you will bore quickly because you've seen this trick before. It is all centered around abroxan (orcanox in this application) but nicely lifted in all areas using citrus and yummy fruity notes (pineapple). Then the base is well balanced with notes you love as well. Overall a nice take on a fresh 'blue' masculine. I'd wear it but not fall in love with it. Very mediocre. Although not a listed note, I get a lot of cedar or maybe a rough sort of sandalwood. Tons of lavender in the mid. The opening is common, a bluish/green type of fragrance. Similar to Cool Water. It's fresh and a bit aquatic. I would probably give it a thumbs up, and possible even get a bottle if it had better performance, and a nicer dry down. To me, this dries down smelling way too powdery and musky.. smells cheap and synthetic. Almost a thumbs down for me, but not a total waste. Longevity is pretty bad, 3 hours tops, and that's on a good day. If this lasted longer and didn't have such a poorly made dry down, it may be a higher neutral.. as it stands now, a low neutral for me, almost a thumbs down. Reminds me of a stronger, more refined Cool Water or Chrome, but not saying this is a overly-strong scent. Projection seems just right, if not excellent for a "blue" fragrance. Definitely smelling Mont Blanc Legend in this as well, as DaMightyHero pointed out. Already received a compliment this morning so this seems to be a crowd-pleaser, at least outside of BN'ers anyways. This is a very nice fresh scent alternative to Mont Blanc's Legend Intense. It may even be a better option with all factors considered. Azure has a fresh almost soapy vibe going on making it perfect for warm weather. This scent is not quite beastly (10+ hours) but considering the style of fragrance, it can be considered a beast among its peers so to speak. I got 8+ hours wearing it and it projects well throughout as i receive many compliments when i put this on. The main difference between Azure and Legend Intense is sweetness and performance. Legend Intense is way more sweet due to the apple and synthetic amber which makes it far better suited for a younger person of the two scents. Azure is more mature and sophisticated. The dry down smells of success which I'd imagine is what heads of the frag division of the Bentley brand was aiming for (although they simply made a more mature version of a known scent). Performance wise its a clear win for Azure. Azure lasts a lot longer than Legend Intense and projects more for a longer period as well. This is also a versatile scent. It can be worn dressed up or down and can be worn year round due to its above average performance. I believe it would shine most during warmer weather but this can definitely be the skeleton key for all situations and all seasons. Drawbacks to this scent is that it could be considered a clone which in it self isnt a horrible thing at all unless your a frag snob. If this describes you, you may want to skip this. But this scent has made me neglect Legend Intense. I barely reach for it now and that says a lot. Other than that critique this is a great fragrance worthy of a buy. There are no member images of Bentley for Men Azure yet. Why not be the first?